IP and NEMA standards. 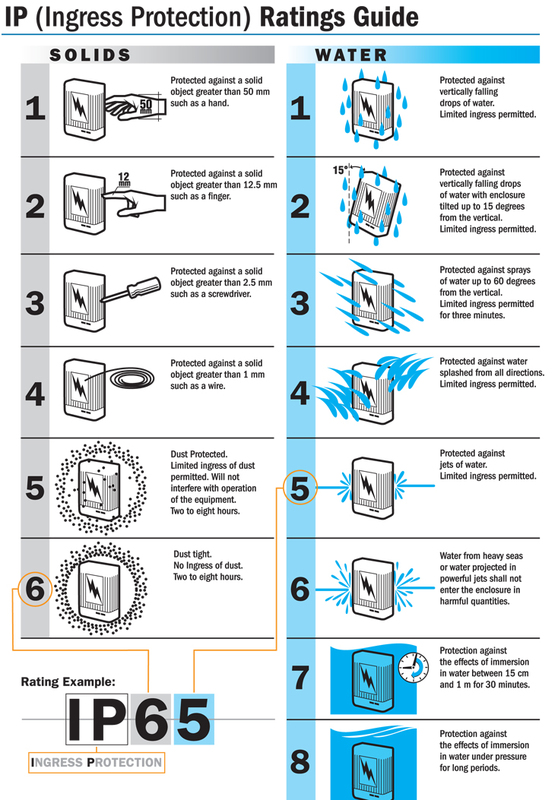 The NEMA (National Electrical Manufacturers Association) and IP (Ingress Protection) rating systems are used to describe the degree to which a product is protected from water or dust, among other things. The product in question could be a gas detector, a central gas detection controller, or a simple electrical outlet. The IP rating system only covers protection against the ingress of water and solid objects, whereas the NEMA Rating system also includes corrosion resistance and use in atmospheres containing explosive agents. IP (Ingress Protection). 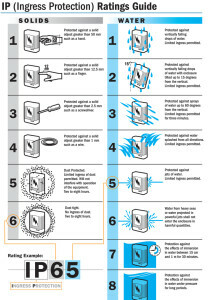 The IP rating system provides a means of classifying the degree of protection of solids (such as dust) and liquids (like water) that the electrical equipment and stainless steel cabinets must have. The system is recognized in most countries and is included in several standards, including IEC 60529. The IP is always present in Delvalle enclosures. For example, a enclosure IP64 is dust tight and protected against water splashed from all directions. Some of our model of enclosures reach up IP67. Delvalle obtained NEMA certification under UL Agency. Delvalle have a wide gamma of products with differents types of protecctions, IP and NEMA standards, for example juctions stainless Steel boxes IP67, or modular enclosures titan series NEMA 4X, or our wall cabinet Luxor, as IP66 as NEMA 4X. For any question, our sales managers are available.